Dozens of places that were on the front line of the suffragette struggle are being officially recognised in England’s heritage record. Some 41 places where suffragettes gathered, protested and targeted for sabotage are having their records on the nation’s heritage list updated to reflect their part in the fight for women to get the vote, heritage agency Historic England said. 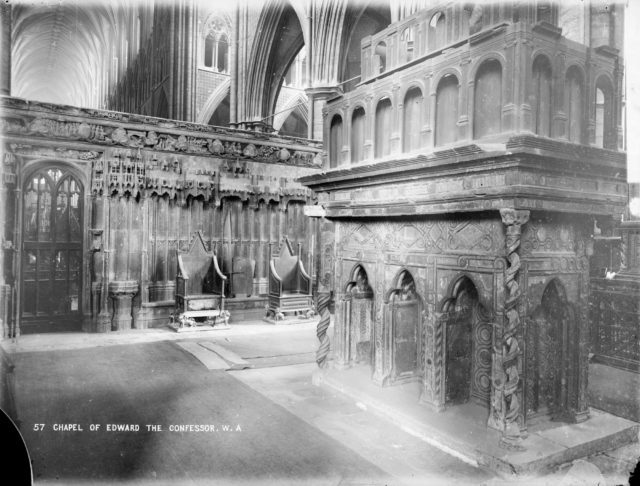 They include well-known places such as Westminster Abbey, where services were interrupted and the coronation chair was damaged by a bomb, theatres which hosted suffragette plays or were targeted by protests, and art galleries where paintings were damaged. Also on the list is a Birmingham school where two suffragettes were so “charmed with this old-world room” they could not bear to set it on fire, according to a message they left on the blackboard. Post boxes which were firebombed and Bow Street court, London, where suffragette leaders were tried, have also had their place in the fight recognised. 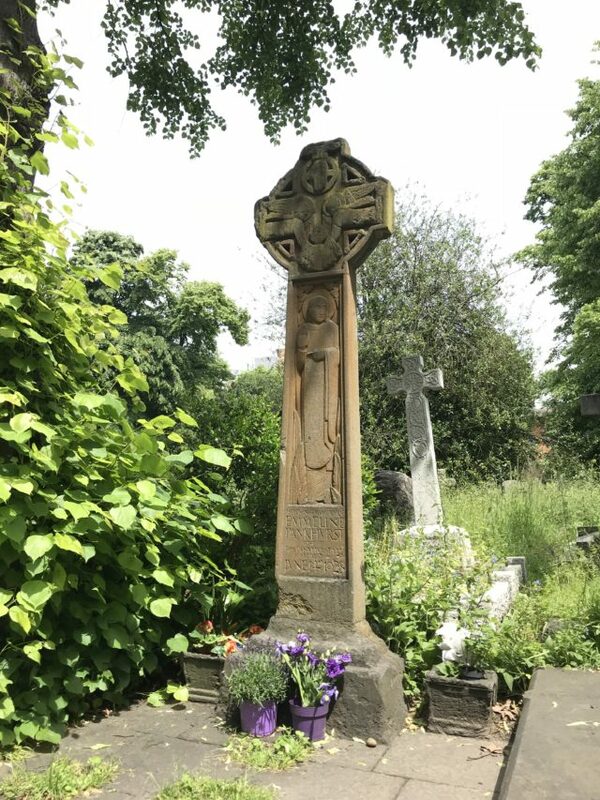 The tomb of leading suffragette Emmeline Pankhurst in Brompton Cemetery, designed by female sculptor Julian Phelps Allan, has had its protected status upgraded to Grade II* listed by the Culture Department on the advice of Historic England. The move recognises Pankhurst’s pivotal role in the suffragette movement, and the elegance of the monument designed by the women’s army officer turned artist who was born Eva Dorothy Allan. The 41 sites are already listed, but until now there had been no mention of their suffragette history. 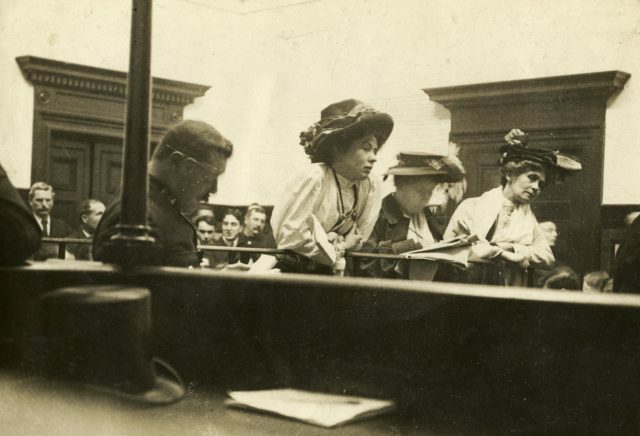 The move to rectify that is part of the HerStories project marking the centenary of women’s suffrage, which aims to right the imbalance in which women’s history is under-represented. The suffragettes were mostly members of the radical Women’s Social and Political Union (WSPU), which was set up by Emmeline Pankhurst, and followed a different route to suffragists led by Millicent Fawcett, who lobbied peacefully for the right to vote. The new listings include a hall in Bristol where professional boxers were hired to stop medical students disrupting Mrs Pankhurst’s speeches, and a venue in Sheffield where Winston Churchill’s dinner was interrupted by repeated telegrams. Also on the list is the Prince’s Stand at Epsom racecourse, the scene of the most famous protest by suffragettes in which Emily Davison was fatally injured after she ran in front of the King’s horse. 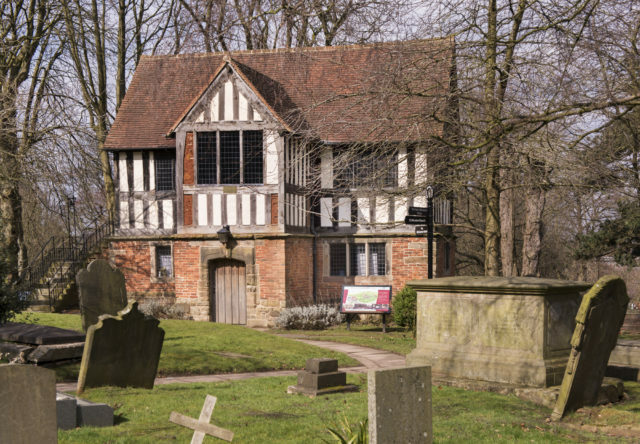 The move to relist the 41 sites and upgrade the tomb has been welcomed by Emmeline Pankhurst’s great-granddaughter Helen Pankhurst, who said the initiative was “wonderful”. “On the centenary of 1918 it is wonderful to see Historic England playing a part in helping to preserve 41 sites of suffragette protest by identifying and sometimes upgrading their listing as part of their HerStories Project,” she said. Heritage minister Michael Ellis said: “A century after the first women won the right to vote, it is vital that we continue to remember all those who campaigned so hard for greater equality.